If I help a Hungry Minds scholar, who do I help? Tiny Elmark is one of the new Hungry Minds students in Malolos, Bulacan. 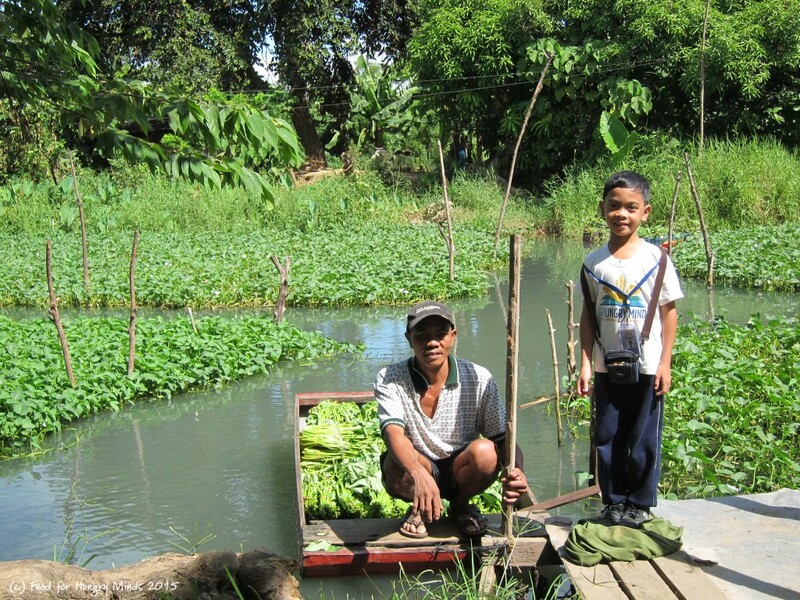 His father harvests kangkong (water spinach) for a living. 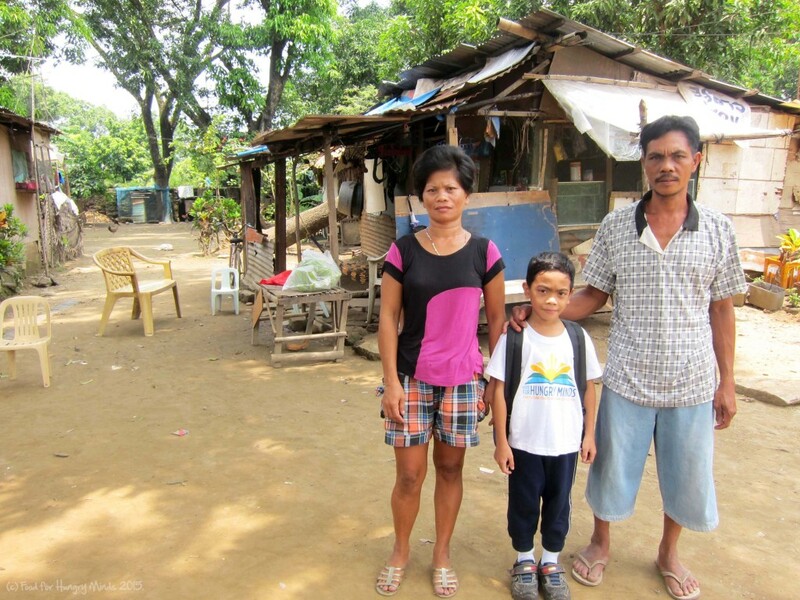 Every day, Elmark and Nanay (mother) walk nearly a mile to catch the HM school bus. Elmark and his family are working hard for a better future. Support Hungry Minds – and you make this future possible! Elmark with his parents at their house in Malolos, Bulacan.